Bolivia Hop is a company dedicated to safety, we use only the best buses to get you safely from Cusco to La Paz and La Paz to Cusco. 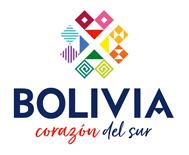 Since buses cannot cross the border between Bolivia and Peru, we operate a specific bus on the Peruvian side of the border and another on the Bolivian side of the border. With sponge foam pads for added comfort. Unlike public buses that often smell bad and are not cleaned regularly. We ensure it is never too hot or too cold. Just sit back and enjoy English speaking movies on longer journeys. To ensure that every passenger has a smooth and seamless journey. Snuggle up and get some sleep on longer trips. This is to avoid tiredness and fatigue. Allows us to track our buses every step of the way and monitor driver velocity. If traveling to or from Lima Airport, it is strongly recommended to use the luxury Airport Express Lima bus to get to or from your hotel. Safer and cheaper than a taxi with no baggage limit as well as free Wi-Fi and USB chargers onboard, it is ideal for travel. Other companies try to cram 40+ seats on these smaller Bolivian buses. Knows all the roads well and gets plenty of rest, unlike on other companies. Our bus is purposely built for crossing the lake. Don’t worry, passengers cross on a different boat. Some companies put passengers on the bus as it floats across the lake to try save some money, which is CRAZY! – Does NOT include an onboard toilet as the bus cannot be bigger due to weight restrictions involved in crossing Lake Titicaca between Copacabana and La Paz (buses need to float across the Lake). NO COMPANY operating this route has an onboard toilet due to these size restrictions. Public toilets ARE available at the Strait of Tiquina, the crossing point of the lake (one hour from Copacabana, 2hours 30 from La Paz).